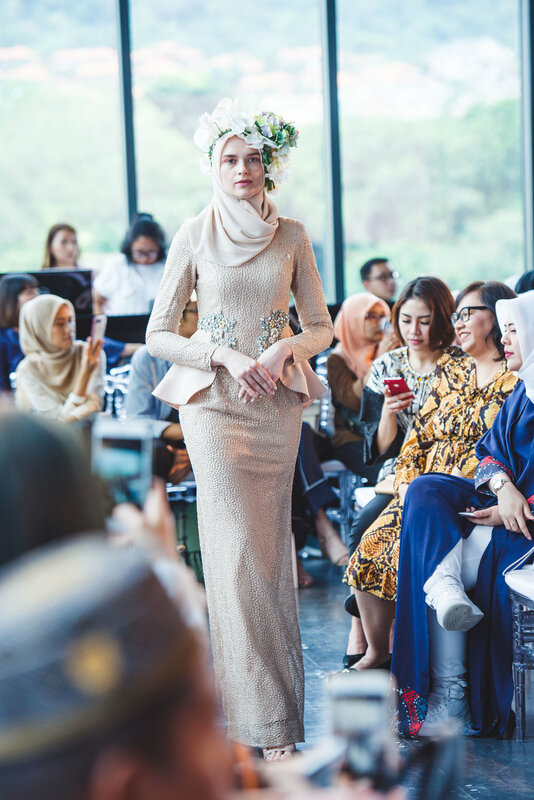 The ZALORAYA2018 fashion show took place at Ken Ballroom where designers preview their raya collections. Malaysian celebrities includes Hanis Suraya, Hafiz Hamidun, Ainul Aishah, Siti Sarah among few others who attended the show. Not only that, Nisha Ezzati, Engku Sulwani and Johanis Sani were among the social influencers who were also there showing support to their favorite brands. The designers showcasing their 2018 Raya collections definitely gives us that take to be the judge whether the designers have done a good job with their designs. Spoiler alert, the ZALORAYA2018 collection has everything you could imagine for your festive wear whether it's lace, comfy cutting, batik, prints, kaftan and even black and white ensembles. The show started with Zaimi Zulkafli showcasing his collections that consists of colors, slits, pleats and modern cuttings. The strength of his collections lies on the modernized cutting of traditional wear suitable for those who are looking for something fresh to wear during the festive Raya celebration. Not to mention the way he teases the garment with slits, pleats and some embellishments that makes the wearer to stand out. For his Raya collections, Zaimi chose solid colors such as royal blue, pink, black, baby blue and red. Each of his pieces from the collection are labeled with traditional Malay names like Anggun, Khatijah, Kalsom, Melati, Melor and Zainab. He did a good job in modernizing the traditional wear by playing around with the garment. The first thing that came to mind when mentioning Minaz is no doubt pastel, florals and peplum. This year for Zaloraya2018 Minaz again confirms to the statement that their collections consist of those three elements. With the brand tagline of “let the DESIGN do the TALKING” Minaz knows their fans really well and create a stunning collections where even from afar you could know it's from Minaz. 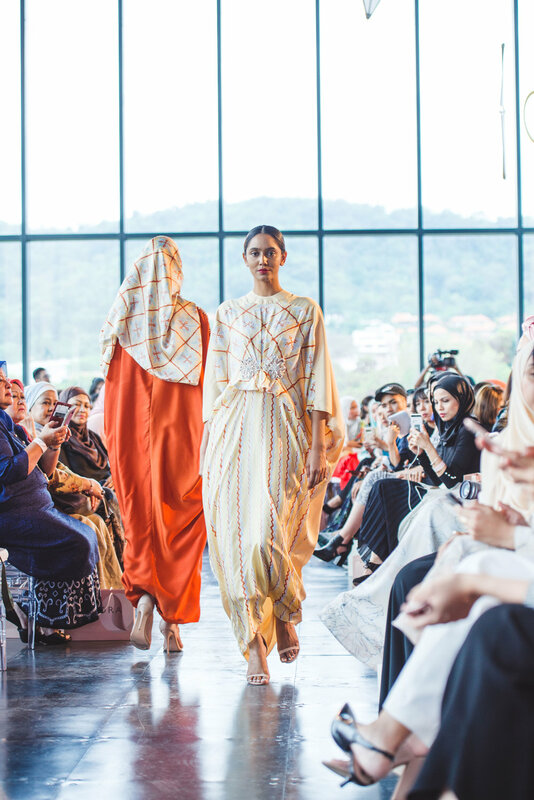 Naming their collection as Minaz Blooming Raya 2018, the brand also added a few designs with lace intertwining it with bold colors, something Minaz has never done before for their pieces. In addition, the brand played with different types of fabric while sticking to signature pastel elements for their printed series. We are sure that Minaz lovers would not be dissapointed with their Raya collection this year. If you are looking for something different, modest, exquisite prints, bold shades then Ezzati Amira is the answer to your festive wear. For her Raya Collection this year, Ezzati Amira presented us with an array of colors, perfect to set us up for the Hari Raya mood. Another thing that we should thank Ezzati for is that her collection is practical and most importantly comfortable. The designer did a amazing job in creating her Raya collection by creating a black and white piece suitable for the monochrome chic look. 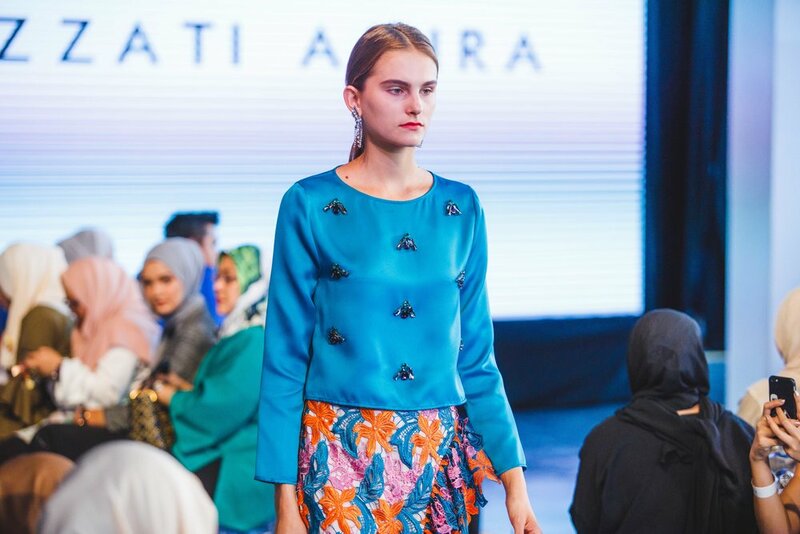 There is something for everyone in Ezzati Amira's ZALORAYA2018 collection. Lace tops, lace frill skirts, pario, gathered front wrap dress and chunky beads tops are what she is offering this year. Any Kami Idea fans here?. Varsada + Hanagami are their collections for Raya this year. Their collection revolves around the concept of prints, pastel, different types of cuttings and silhouettes. Kami Idea designs are far from the traditional look if baju kurung, kebaya or even kebarung is what you expect from them. But that doesn't mean their collection is not modest. For their Raya collections, Kami Idea offers tops with pants looks, loose cutting tops and long dresses. Their choice of fabric should be given credit because it flows nicely when you walk in them. Not only for festivity occasions, Kami Idea designs can be worn anywhere and everywhere despite the season. A brand that is originated from Indonesia, KHANAAN uses batik as their fabric of choice for the ZALORAYA2018 collection. “bring batik to the next step by creating more contemporary pattern that can be accepted to the global market” – Khanaan Shamlan. Overall the collection consists a good variety of patterns, color, cuttings, embellishments for the festive season. The pattern makes up a long horizontal line which helps the wearer to look tall while the silhouette helps to enhance covering your body figure making you appear slimmer. After all, Khanaan proves to those who says wearing Kaftan for Raya is boring. So you have seen it all, let us know which one is your pick for this year's Raya.